Get up close and hands on with our group of seven Giant Aldabran Tortoises. 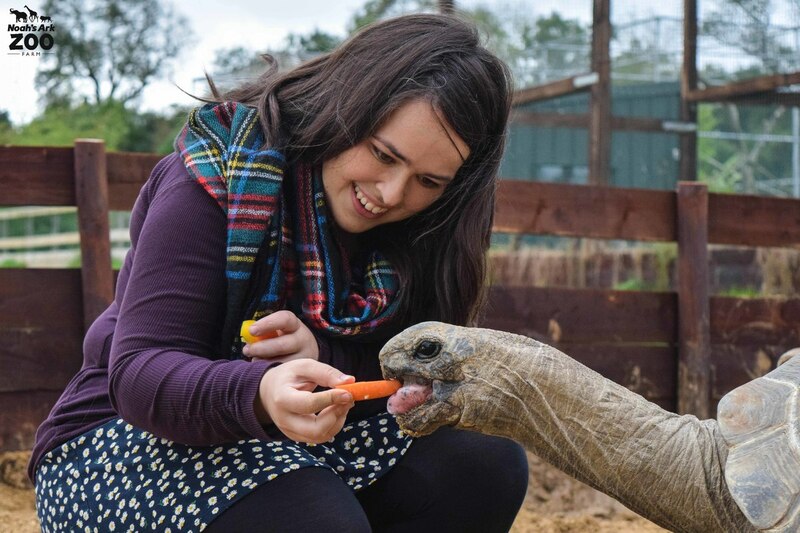 Spend 20 minutes behind the scenes with our keepers and the Giant Tortoises, learning about their personalities. This is your chance to feed a giant and learn about how they live in the wild. You can even get the chance to give them a scratch. The encounter can be booked for up to 4 people but all individuals must be aged 6 or over (children under 16 must be accompanied by a paying adult). All accompanying adults must also pay for the encounter. Monday - Saturday at 11.30am (booked in advance over the phone or online) or 2pm (booked on the day before 1pm at the ticket office) for 20 minutes behind the scenes. What does the encounter cost? *Please note this price does not include zoo entry.